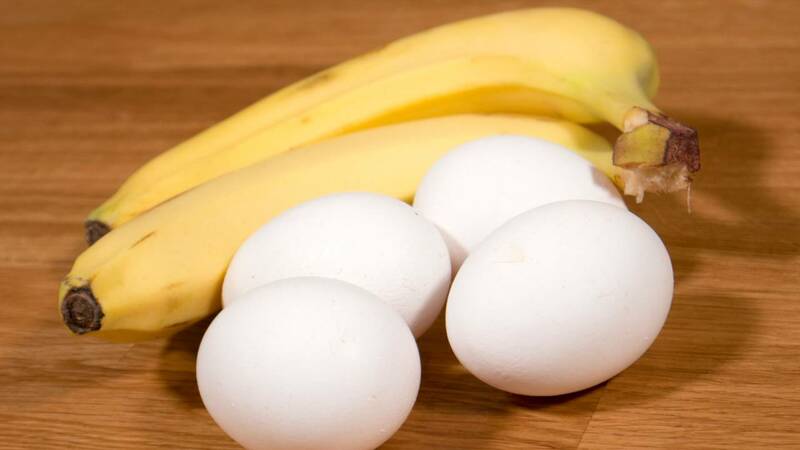 Blend the eggs and bananas into a smooth creme. Use about ½ dl (¼ cup) per pancake. Depending on how big you want them. Fry on medium heat in your preferred fat. It is clarified butter in the video but lard and coconut oil works very well too. Or regular butter and any seed oil if the paleo part is not as important as the easy part. Dont fry them too much. 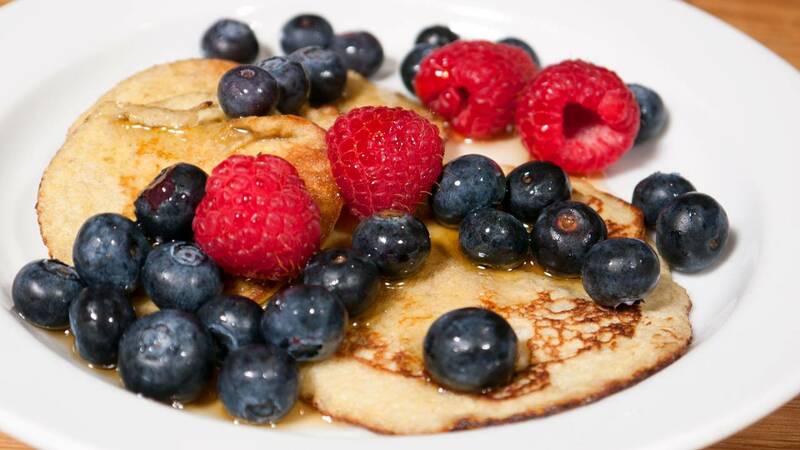 Serve with fruits, berries or whatever else you would normally use for breakfast pancakes.